When traditional markets won’t work, are costly government interventions the only option to deliver services to vulnerable populations? Getting children to school safely can be a challenging task for any parent. 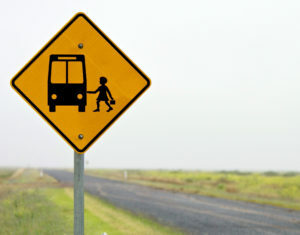 In Australia, parents of children with special needs receive the welcome government service of transit to appropriate schools, but in a cumbersome, time-consuming form: because the transit has to accommodate the needs of any disabled student, students who are blind or deaf ride the same buses of those who need full wheelchair access. The result is a one-size-fits-all solution that is costly to the government — and to families whose children have to spend up to four hours a day on the bus as it winds its way through its stops. Where free markets function well, they can drive down costs while improving the quality of service, but many planners believe that in cases like this, with their complexity and small scale, an administrative solution is the best way to provide the needed service. Charles Plott, a professor of economics at the California Institute of Technology, believes that market solutions can be found for even the thorniest of “thin market” problems by combining rigorous mathematical theory and computer power with laboratory experiments, leading to an adaptable roll-out in real world conditions. Plott’s solution begins in the laboratory, where his team has developed a series of market simulations that use the choices of incentivized human participants to test whether an efficient marketplace can be created. Optimizing the right combination of buses, vans, and other transit modes would be computationally difficult even if administrators had full knowledge of the costs of each individual transit operator — which they don’t. Instead, the price is optimized by means of a cascading auction in which individual operators submit bids and receive immediate feedback as to whether they are still in the running. In the background, the optimal combination of bidders is constantly being recalculated. The final result is a set of winning bidders that comes very near to the true optimal cost.